Working like royalty with this Versailles Office Set, it was inspired by old European design. 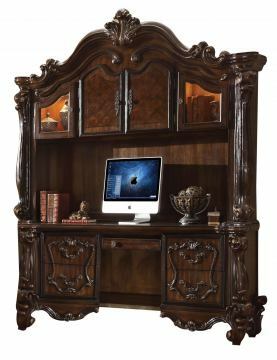 This collection features carved scrollwork accent on computer desk. The accent pieces crafted in wood with Cherry oak finish and also included regal features such as ample storage and silver finish hardware. This Office set will give you a royal sensation in your study.